Increasing globalization of the supply chains is making them increasingly vulnerable to various supply chain risks. Effective management of these risks is essential to prevent minor as well as major risks that may occur in day-to-day operations of the firm. In this paper an attempt is made to bring out a schema for analyzing supply chain risks faced by the firm and develop a risk management action framework that would serve as a guide for practitioners to identify the level at which their firms are operating and the strategies they need to employ to combat or prevent supply chain risks. The data is collected by means of an online as well as an event survey from logistics managers of various supply chain firms. Indeed Singaporean firms need to properly document these supply chain risks. Moreover, there are gaps in specific areas where Singaporean firms can improve themselves and thus become globally effective corporations. With the increasing globalization, supply chains are becoming increasingly complex. While, on the one hand, globalization bring numerous advantages to the supply chain, such as economies of scale and global operations, on the other hand, the increasing complexity in the supply chain makes it vulnerable to various kinds of risks, such as delays and disruptions (such as natural disasters and diseases) to name a few. Risk is an expression of the probability that an event or action may adversely affect the organization1. Risk Management is the strategy to take preventive measures towards such risks and mitigate such risks in case they occur. Deloitte and Touche (www.deloitte.com) define supply chain risk management as the management of supply chain risks through coordination or collaboration among the supply chain partners so as to ensure profitability and continuity. Before firms can devise effective means of reducing supply-chain risks, managers must first understand the universe of risk categories as well as the events and conditions that drive them. Then, armed with clear, specific knowledge about these crucial risks, companies can proceed to select and tailor mitigation strategies likely to be most effective. There are numerous studies that identify the inventory of risks that a firm’s supply chain may be vulnerable to (Chopra & Sodhi, 2004). It should be noted that risk cannot be eliminated. Because of the complex nature, various tools may be used to allow business stake-holders and government bodies to build up an overall picture of the risk situation and plan a migration strategy to address critical areas. Although, there has been considerable research (Paulsson, 2003; Tang, 2005) on identifying various types of risk faced by a supply chain firm, there is hardly any empirical study attempted to identify the specific risks faced by firm and their capability to prevent or combat these risks. 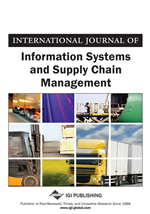 The current paper is an attempt to explore the area of supply chain risk management in a detailed manner. Specifically, this paper develops a schema for supply chain risks, a risk management action framework as well as a framework for understanding the capability of firms in facing these risks. The paper will serve as a platform for future empirical research. Also, this paper would be useful for practitioners by giving them a detailed overview of the risk management strategies followed by various firms and also an understanding of the gaps their firms might be facing. This paper would also serve as a roadmap for various industrialists for practicing risk management in their firms. The rest of this paper is organized as follows. A brief review of literature on supply chain risks is presented in Section 2. The conceptual framework for this study in presented in Section 3. The methodology of survey study on supply chain risks of Singapore firms is discussed are discussed in Section 4. Data analysis and results of the study are presented in section 5. Finally, conclusions as well as contributions of this study are discussed in section 6.